4k00:06ROME, ITALY - SEP 27, 2017 Hyperlapse video of Trevi Fountain in Rome Italy, people watch the fountain at night. 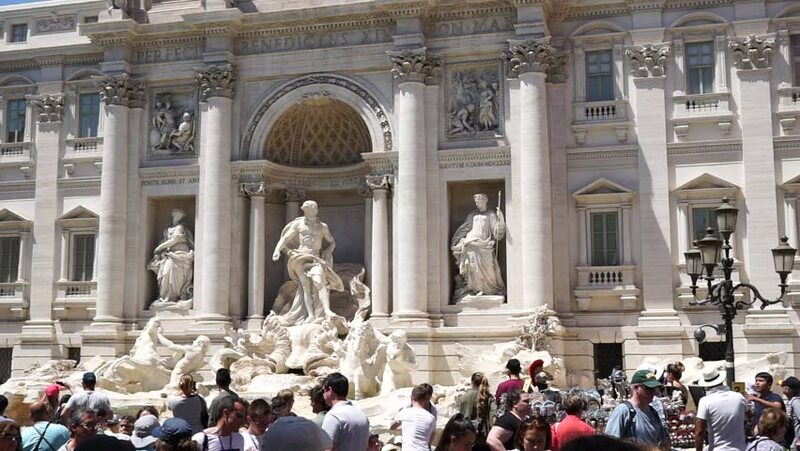 4k00:14ROME, ITALY - October 18, 2015 : Crowd of tourists walking in front of the famous Trevi Fountain under restoration in Rome, Italy on October 18, 2015.
hd00:20ROME - MARCH 16: Tourists walk by the famous Trevi Fountain on March 16, 2011 in Rome, Italy. hd00:10DRESDEN, GERMANY - AUGUST 2014: The interior of Dresden Frauenkirche - Church of Our Lady. Germany. hd00:16Changing of the Guard at Buckingham Palace, London, UK. Filmed in May 2015. 4k00:09ROME, ITALY - OCTOBER 26, 2018: Trevi Fountain. Aqueduct-fed rococo fountain, designed by Nicola Salvi & completed in 1762, with sculpted figures.